Well, the Kickstarter project went CRAZY HUGE, and we here at Nakatomi want to thank EVERY ONE who pledged. The order for the books is now at the printer, and we are expecting them to be delivered here at the Nakatomi HQ by the end of April, and orders will start shipping out ASAP! So- if you MISSED OUT on the Kickstarter project, we are now taking orders for the book here on Nakatomi! 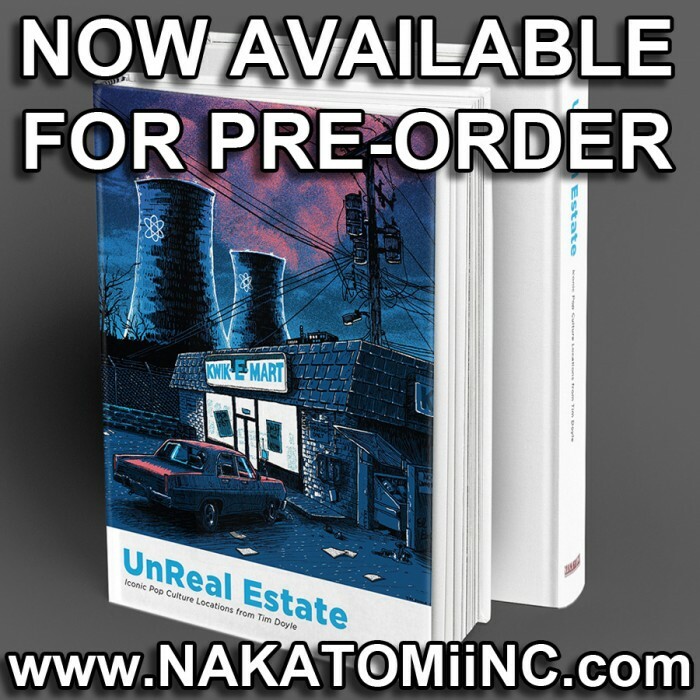 This 146 page Hardcover book measures 9×12, and features FULL COLOR reproductions of EVERY image from UnReal Estate #1-3, along with essays, sketches, and behind the scenes photos that have never been seen before! ← THE CROW- “Love is Forever” by Florey- On sale TUESDAY!